Local diver and historic dive-gear collector, Jay Kane, loans us the magnificent Mark V deep dive suite we have on display in the museum's front hall. 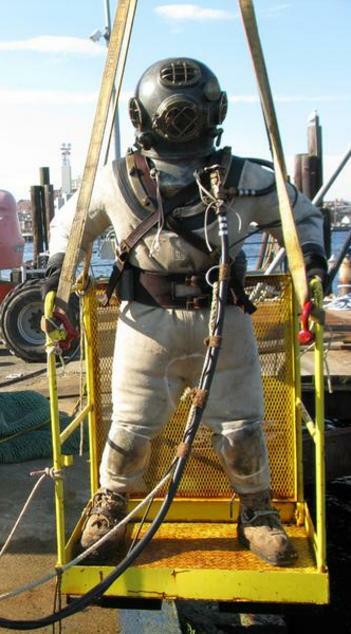 Last summer, he borrowed the suit and took it for a dive off Fort Trumbull, New London. Here, above, are photos of that event. You can see the suits employed at New London's TA Scott Company in the early 1900s (photo at top right). The Mark V suit was the standard gear for the Navy from the early 20th century into the 1980s! The helmet weighs 60 lbs, each shoe: 20. There is a belt composed of 10 lead weights, with 10 weights with each piece of lead at10 lbs. Altogether, the suit weights 200 lbs+, which is enough to counter the buoyancy of an adult male. In February, 2014, Jay took the gear to Florida for another dive. 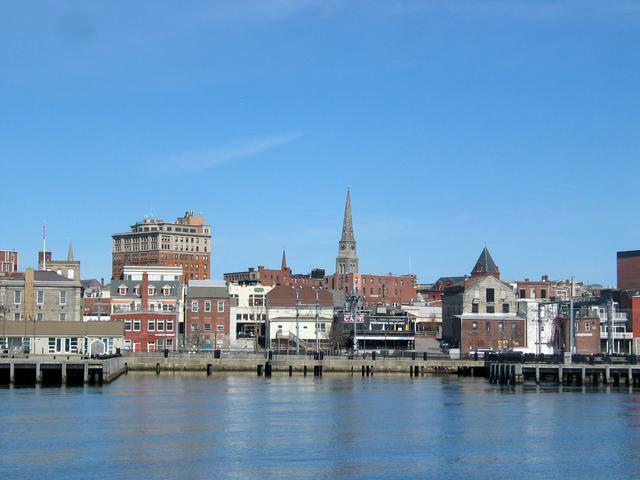 We are thrilled with the tale and happy to have the suit back at the Custom House!